How Can Computer Gaming Be Used to Assist Society? Home > Changing Technology > How Can Computer Gaming Be Used to Assist Society? How can games help society? A few years ago this would have been unthinkable. After all, games are only viewed as a leisure activity, surely? It may surprise you to learn that games are now being considered as a source of education and a means for certain industries to plan their activities. In some cases games are already being used in areas you would not expect, such as therapeutic use in health care. Now, even companies are looking to games or games type technologies to improve the way they do business or perform their operations. Let's first take a look at health care. The Nintendo Wii is now being seen as a method to re-rehabilitate people with all kinds of physical and medical conditions. Wii games involve the player using their natural coordination and balance. 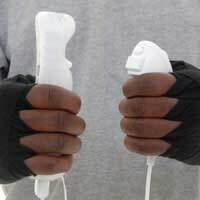 This aspect of Wii gaming is now being used in health care fields to assist patients back to health. The interesting point here is that the games are not changed for this purpose, they are simply used "as is" as some of the games. The Wii Fit for example, provide the same kinds of experience for a patient as they would receive from having a personal trainer. When it comes to psychiatric problems, the Nintendo Wii comes in useful here too. Computer games relax and improve the general well-being of patients. The Nintendo Wii has probably done more for health care than their traditional rival machines, such as Microsoft’s Xbox and the Sony Playstation. Games are also now being used in education. In recent times games have evolved and are a lot more complex than they used to be. It is now possible to take a qualification in games development; once not seen as a "career". Games development in education is now backed up by various educational qualifications (including degree level), and a set of frameworks for developing games from the big games companies, such as Microsoft, Nintendo and Sony. Games development is now considered to be a good career choice. Traditional techniques used to develop software rely on established methods established over years. For instance, companies storing financial data will use what is known as "software engineering" to develop a system for handling this from start to finish. So how can games software become part of this process? Well, as games have developed in the last 10 years or so, the techniques used have followed suit. It is now necessary to use things like "software engineering" in order to develop games (something not recognised a decade ago), which are increasingly becoming more complex. We can even turn this theory on its head. For instance, if software engineering can be used to develop games, then how can games software be adapted to teach software engineering? Lincoln University developed a games system which allows each player to play a "role" in a business or technical situation. Software Engineering has several roles, such as a manager, developer, or database designer. The "Software Engineering Game" allow players to play the role they would like to enact during a typical program development. Therefore, they can choose the developer, manager or database designer role for example. By playing a role like this in a game they can see how the real world operates in the environment they would be working in. The game probably includes all the office politics, technical challenges, and programming development challenges students would face in the real world. By working in a virtual environment such as this, the student obtains a flavour of what it is like, not in theory or as stated in a book, but in a real (well virtual at least) environment. This idea could well be the learning tool of the future, where students can enact roles or objects and see how they interact with things around them. It is probable that learning in this way will be much more effective and enjoyable than traditional classroom methods. Games Can be Used in Business! The same kinds of principals can be applied to business techniques. If a business wants to test something out, such as a marketing campaign or product and see how effective it can be before buying or implementing, a game (or simulation) allows a level of predictability based on the parameters provided. Some similar predictive techniques are already in use by industry. However, games provide a new angle on this in that people can take on roles and simulate "what if" scenarios as and when required. It makes predicting the future easier and allows companies to prepare for "worst case" scenarios such as the recent financial crisis, which many analysts suggest was unexpected. Therefore, the next time you look at games on the shelves, consider the fact that they have more uses than just for leisure activities, if not directly, then indirectly with some of the techniques the games use. Do Social Networking Sites Change the Way We Work?